Today, there are a host of invoicing apps with excellent functionality, are easy to use and have been built specifically for both iPad and iPhones. An invoice app that is appealing with a great templates tells a lot about a business. Business owners need invoices to be quick, clear and concise which is what the KIPPIN invoicing app provides. KIPPIN – The IOS invoicing app is free for 6 months. Invoicing apps are faster than most manual document and spreadsheet processes and provide a means by which you can store product and customer information online. They simplify the way client billing occurs and eliminate all the manual processes. The invoice creation process becomes faster and the data within is more reliable. Invoicing apps are secure, simple and easy to operate. It helps you track the time your team spends on work, the prices for each item, and expenses incurred on those projects. KIPPIN – The free invoicing IOS app is a simple and easy invoicing platform that helps you streamline your entire expense management process. It helps you prepare invoices, quotation, receipts, purchase order, delivery note, ordering, credit note, and debit note. It also allows you to effortlessly simplify complex business processes, create databases, improve accuracy and timeliness and negate errors. KIPPIN – The free invoicing IOS app allows you to perform business analytics functions like billing, payment, reports, notifications, and time tracking etc. KIPPIN – The free invoicing IOS app allows you to create invoices from anywhere. All you need is an app, computer and the internet. You no longer need to be at your office to execute invoice related activities as all the data you need is now stored in the cloud and available from just about anywhere. You can now generate your invoices at your leisure and instantly email the invoices directly to your clients saving you printing and postage costs. KIPPIN – The free invoicing IOS app allows you to customize invoice templates for each product/service that you are invoicing a client or customer for. KIPPIN – The free invoicing IOS app helps you track expenses. It keeps track of your cash flow allowing you ensure that the inflow is greater than the outflow thus ensuring that your business is generating positive cash flow. It easily identifies clients who are yet to make their payments saving you a lot of research and fact-finding for such clients. KIPPIN – The free invoicing IOS app allows you to generate and deliver invoices to your clients quickly and whilst on the go. This in turn, helps you receive payments on time which improves cash flow. It also allows you to customize templates as per your requirements conveniently and instantly. KIPPIN – The free invoicing IOS app helps you save money, time, labor and paperwork as well. It saves the data to the cloud which you can access from any place anytime. It eliminates the need for documentation and the transporting of large files around. Paper invoices are no longer required as all the data is organized and stored in one place. KIPPIN – The free invoicing IOS app makes it easier to search for specific client data through the various filters provided by choosing from the options to retrieve the desired information. 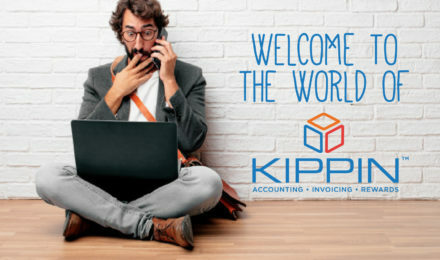 KIPPIN – The free invoicing IOS app helps you save time and money by eliminating the need for companies to depend on the postal system and fax machines to get invoices to their clients, thereby making business operations less expensive and less time-consuming. KIPPIN – The free invoicing IOS app helps companies to save money on paper, printing, and postage. KIPPIN – The free invoicing IOS app helps you maximize productivity in a short amount of time. 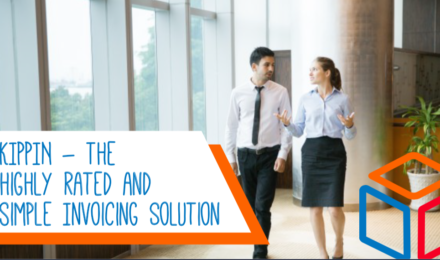 It allows you send multiple invoices simultaneously. As a result, tme is saved and the resultant output is error free invoices. KIPPIN – The free invoicing IOS app also allows you to view client records and all the details surrounding them. This means all the information is ready to be used whenever you want. KIPPIN – The free invoicing IOS app maintains and manages all customer data. It is important as this data help businesses maintain good customer relationships by providing them with a mobile-centric view of their customers. It stores all the data in one place and archives it securely. It also allows you to create new records, import/export data from other files and track payment cycles. What makes KIPPIN invoicing app the best free IOS invoicing app? KIPPIN – The free invoicing IOS app helps you auto fill invoices such as auto-fill date, auto-fit layout, etc. It alerts you for any errors and or missing data that are mandatory fields. It greatly increases the accuracy by allowing you to pay more attention to the contents of the invoice. KIPPIN – The free invoicing IOS app makes sure that all mandatory fields are completed when preparing the invoice. KIPPIN – The free invoicing IOS app allows you to have quick and easy access to all your invoices and quotes wherever you are and whenever you need it. It helps you through every step and ensures that the invoice is clean and simple for your clients to read. KIPPIN – The free invoicing IOS app helps you create a properly formatted copy of your invoice in PDF format anytime. It allows you to print or email the document electronically to your customers or accountant. KIPPIN – The free invoicing IOS app has a well-designed layout which shows the price and product details to the customer in a well laid out manner. This helps in increasing your clients confidence and the assurance that they are working with a reputable business. KIPPIN – The free invoicing IOS app allows you to save typed content and customer information for later use. Customer data in input once and can be recalled if required for a new invoices, thus eliminating the need to type the same information over and over. KIPPIN – The free invoicing IOS app allows you to generate various documents such as quotation, receipt, purchase order etc. It greatly helps to improve your company’s internal process and reduces tons of paper work. KIPPIN – The free invoicing IOS app keeps track of all your invoice and billing information which can easily be retrieved and recalled. 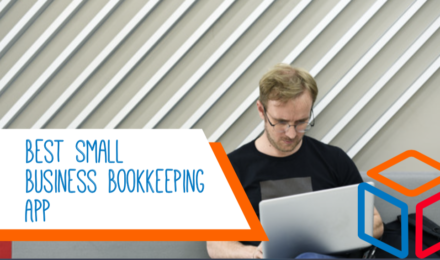 This eliminates the need to perform accounting processes manually using handwritten or Excel template invoices which are time-consuming and could result in you forgetting crucial details about a specific invoice/transaction. 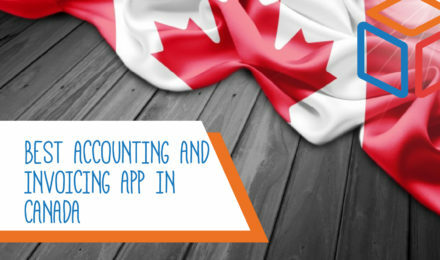 KIPPIN – The free invoicing IOS app generates many types of reports that help to prepare your financial business statements so as to avoid any inaccuracy in your financial statements.